When it comes to success on the playing field, in many sports, athletic performance hinges on an athlete’s hand eye coordination, eye tracking, and depth perception. Sports vision therapy is a progressive program of vision exercises that enhance fundamental vision skills and abilities critical to athletic performance. 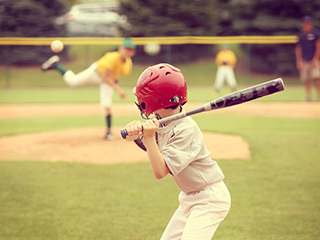 If you are a local athlete looking to improve your performance, sports vision therapy from Robinson Center For Neuro-Visual Rehabilitation may be able to make a significant difference. At Robinson Center For Neuro-Visual Rehabilitation, we believe that an athlete’s skills are not only improved in the gym, but also through enhanced visual processing and hand-eye coordination. Contact us to learn more about the benefits of sports vision therapy.